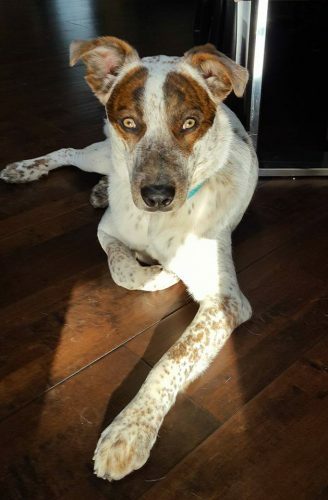 Pepper is a beautiful Australian Cattle Dog mix who arrived to Toronto with his brother Sawyer. 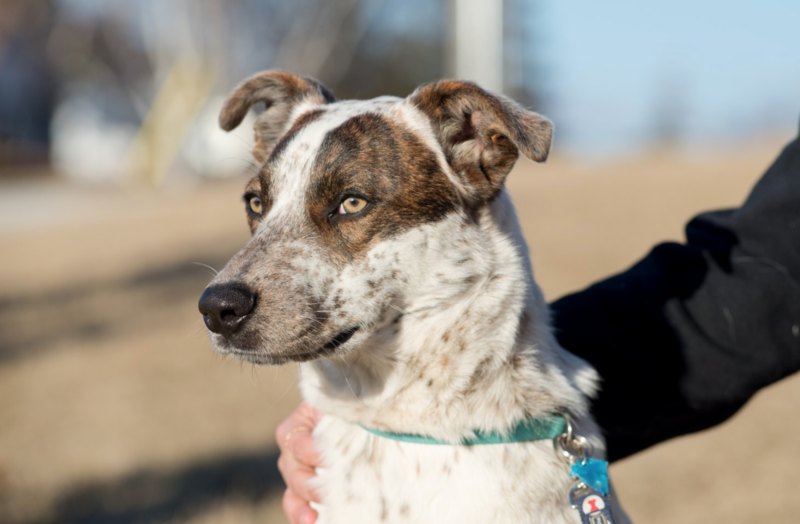 Pepper is very dog social and playful, would be the perfect dog-park companion or running buddy! He does get excited when coming into contact with smaller animals, but his Foster Mom is able to redirect his attention and keep him focused on his walks. He should be adopted in a home without cats, as he loves to chase! He needs some work on basic commands and manners, but his demeanour proves he is willing and excited to learn! When Pepper needs some relaxation time, he goes into the crate on his own and he also sleeps in his crate through the night with no issues (though around bedtime he would like a treat of some sort when heading to sleep in the crate). He is also house-trained! Pepper’s first impression of the city is that it’s a loud place; but over the last few weeks with his foster-family, he is able to confidently walk down the bustling Toronto neighbourhoods (streetcars and buses and all!) He can whine a bit when left in the crate on his own, but he is able to calm himself and is ok afterwards. Pepper is great in the car and always up for an adventure! He has been working on basic commands and is catching on quickly with encouragement! His opportunities are leash-training and with recall. 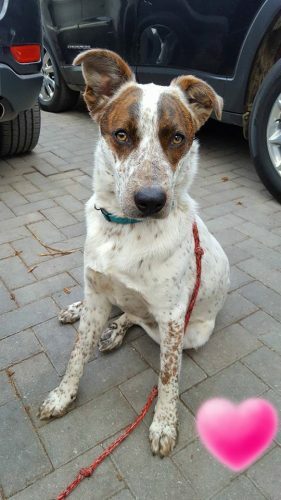 Foster Mom says he is the perfect combination of super-chill and active! He loves rubs and scratches and some affection! Are your mesmerized by his stunning eyes? Apply to adopt Pepper today!